It seems obvious that good doctors are essential for a proper health care at every hospital and clinic. However, we hardly ever think of how important the nurses’ work is. They are the ones who look after us daily so their work must be highly considerated. Luckily, Derby (Derbyshire) counts with great nursing schools where nurses are taught and trained to perform a great work either at hospitals, nursing homes or for home care. Depending on the type of disease, injury, patient and his needs, there are some specialities like oncology nurse, neonatal nurse or forensic nursing professionals. Sadly, some people require of lifetime attention, for example people suffering from chronic diseases and elderly people. Not everybody can afford staying in an old age home or a clinic forever and they have to be at home. A professional nurse attending them at home is the solution since, relatives need to keep on with life and work and they can’t constantly assist their loved ones. Sometimes, community services can also provide you with thies services. Would you like to know what make a good nurse great? She has strong communication skills that not only allow her to tell the patient everything, but also carefully listen to him and even anticipate his needs. She is strong and emotionally stable. This is essential since there are many stressful situations. She is respectful and empathetic.She understands the patients’ feelings while try to provide them as much comfort as possible. She has the capability to quickly respond to situations while pays attention to every detail. She is physically strong so she can easily lift patients and endure other long times working. At Infoisinfo we always work hard to be able to offer you the most useful information so that you can easily find the best products and services in Derby (Derbyshire). We care about your wellness and we would like to ease your difficult times and help you to properly recover from any sickness and injury. For this reason, we have prepared a list of the best nursing services in Derby (Derbyshire). Get in touch thanks to the contact details provided such as phone numbers, websites, address and opening times. In addition, you can have a look at comments and valuations from other clients to get a better idea about the nurses and nursing assistants. 16 bedded home for elderly mentally ill and people with learning disabilities. 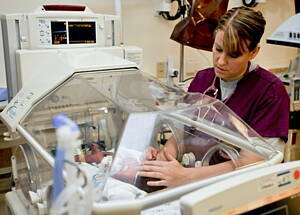 On call 24hr SEE WEBSITE APPLY ONLINE NURSES NEEDED. 24hr Nursing Agency Supplying RGN's RMN's RMLD's and Experienced care workers to Nursing Homes Residential Homes Mental Health Units. Learning Disability or Dementia • Old Age, not falling within any other category • Physical Disability • Sensory Impairment. Registered Care Categories*: Dementia • Mental Health, excl.